Next Article Do I Need to Put My Middle Name on My Airline Ticket? While you may not have flown with Virgin Atlantic, there’s no doubt you’ve come across this distinctive, glamorous airline with its vibrant brand and PR-loving founder. If you’re planning a trip on Virgin then we’ve got you covered with all the information required for planning your flight. Maybe you need to know about their baggage allowance, fare structure, or cabin amenities, or you want to be prepared for any additional fees or add-on options. It’s all outlined below. Virgin Atlantic Route Map. Image courtesy of virginatlantic.com. The Flying Club is Virgin Atlantic’s loyalty program that rewards members with miles when they fly with Virgin Atlantic and when they fly on other partner airlines including Delta, Air France-KML, and Singapore Airlines. These miles can be redeemed for award flights or used to pay for part of a flight (starting from 3,000 miles). As well as flying, there are a variety of ways to earn Virgin miles from spending on the Virgin Atlantic World Elite Mastercard® to shopping at specific retails through the Virgin Atlantic retail portal. When you fly, you earn tier points that can help you move up the Flying Club’s membership tier statuses of Red, Silver, and Gold. The Red tier being the lowest tier and Gold being the highest with each tier offering its own benefits. There are great incentives to achieving Gold tier with Gold members not only earning a bonus on flights, but also receiving priority for check-in, access to the Virgin Clubhouses, and an extra luggage allowance. Hot Tip: Read more about Virgin Atlantic’s loyalty program in our article about the best ways to earn lots of Virgin Atlantic Flying Club Miles and you’ll be jetting off on a reward flight soon! Virgin Atlantic has introduced some flexible options to its economy fare offerings, along with standard fares for Premium and Upper Class cabins. Flying Economy Light offers you meals, drinks, and snacks included; however, you are limited to carry-on luggage only. Secondly, seat selection can only be made at check-in or for a fee 24 hours before departure. As with Economy Light, Economy Classic offers you meals, drinks, and snacks included. Flying Economy Classic also includes one free checked bag, free seat selection*, and is upgradeable with Flying Club miles. For bookings made after 16 March 2018. For any prior bookings, the seat selection fee still applies. Economy Delight delivers all the perks of Economy Classic, but adds great extras like premium check-in, priority boarding, and extra legroom seating. When you flying Premium cabin on Virgin Atlantic, you receive dedicated check-in, priority boarding, and baggage offloading on arrival (where possible). Additionally, you benefit from free seat selection up to 331 days before departure as well as a larger seat onboard. Upon boarding, you’re offered a complimentary drink and newspaper to start your flight off. * Chauffeur service is available for eligible fares booked in J, C or D class and is not applicable to codeshare partner flights. Reward flights are also not eligible. **Excludes flights on A330-200 aircrafts. Virgin Atlantic Baggage. Image courtesy of virginatlantic.com. As Virgin Atlantic doesn’t operate any domestic or short-haul flights, it has a pretty clear-cut baggage policy. Passengers in Economy Light, Economy Class, Economy Delight, and Premium are permitted to bring 1 piece of carry-on luggage plus 1 personal item. Passengers in Upper Class are permitted to bring 2 pieces of carry-on luggage plus 1 personal item. Standard carry-on luggage must not exceed 23 x 36 x 56 centimeters or 10 kilograms for Economy or Premium. The same size restriction applies to Upper Class but a maximum weight of 12 kilograms per piece with all carry-ons not totaling more than 16 kilograms. Lap infants are permitted 1 standard carry-on bag weighing up to 6 kilograms and have the same size restriction of no larger than 23 x 36 x 56 centimeters. Passengers traveling with children have the option to check their stroller free of charge either at check-in or at the gate. The stroller will be transported in the hold compartment and in some cases will be ready for you outside the plane on arrival, or at baggage claim. All checked bags must adhere to a maximum weight of 23 kilograms for Economy & Premium fares, 32 kilograms for Upper Class fare. All luggage must adhere to maximum linear dimensions of 90 x 75 x 43 centimeters. * 2 bag allowance applies to Economy passengers traveling from the U.K. to India, from the U.S. to South Africa, from the U.S. & Canada to India, and from the U.K. & U.S. to Lagos. Lap infants are allowed one piece of checked baggage with a maximum weight of 23 kilograms. Please refer to Virgin Atlantic’s baggage policy for information relating to special luggage (e.g. musical instruments or sports equipment). Hot Tip: Check out our detailed post on Virgin Atlantic Baggage Fees & Tips to Cover the Expenses. Fees are detailed in the fare conditions section upon booking. After running a few test searches, these fees seemed consistent for a variety of flight routes from North America. Lap infants are charged 10% of the fee. In the case of a change/cancellation due to Force Majeure (evidence required), then Virgin Atlantic will credit the fare towards a future flight, and charge a £50 per person administrative fee. Hot Tip: You can find out information on Virgin Atlantic’s award flight change & cancellation fees here. Economy Light: Free at the airport, prior to the airport: £30 for standard seats or £35 for standard upper deck seats. Economy Classic: Free less than 24 hours before departure. £35 for standard upper deck seats, £59-£89 for an exit row seat, £49 for an exit row seat with reduced legroom, or £59-90 for an exit row upper deck seat (only available on the 747). Virgin Atlantic Economy. Image courtesy of virginatlantic.com. Virgin Atlantic Economy Delight. Image courtesy of virginatlantic.com. Upgrade to Economy Delight and you’ll benefit from extra legroom with a seat pitch of 34″. Virgin Atlantic Premium. Image courtesy of virginatlantic.com. Virgin Atlantic Upper Class. Image courtesy of virginatlantic.com. Virgin Atlantic has 5 aircraft types in its fleet with a couple of different seating configurations for its Airbus’. Virgin Atlantic has its fair share of devoted customers that won’t fly any other airline when possible. Well known for its friendly service both in the air and on the ground, Virgin Atlantic seems to have a real emphasis on hiring the right people to do the job well and with a smile on their face. Complaints of delays or cancellations are scarcely reported on the likes of TripAdvisor or Virgin Atlantic’s social media, so they seem to run a tight ship. Although comments of price hikes have become more prominent recently with customers comparing Virgin Atlantic fares to its long-standing rival British Airways. Since merging with Delta, Virgin Atlantic has discontinued some of its routes much to customer disappointment. The London to Cape Town, London to Tokyo, and Hong Kong to Sydney routes were lost over the years in favor of more profitable transatlantic routes. Founder Richard Branson is the face of Virgin Atlantic and his passion and drive to create the world’s sexiest and most exciting airline seems to have paid off through some pretty crazy and daring PR stunts. Customers have stated on social media that flying on Virgin Atlantic means the holiday starts when you step onto the plane rather than when you reach your destination. No official statistics can be found on the U.K.’s Civil Aviation Authority website www.caa.co.uk. AirlineRatings.com awarded a 7 of 7 safety record for Virgin Atlantic. This rating looks at whether the airline has an IATA Operational Safety Audit Certification, as well as information from the world’s aviation governing body, government, and crash records. 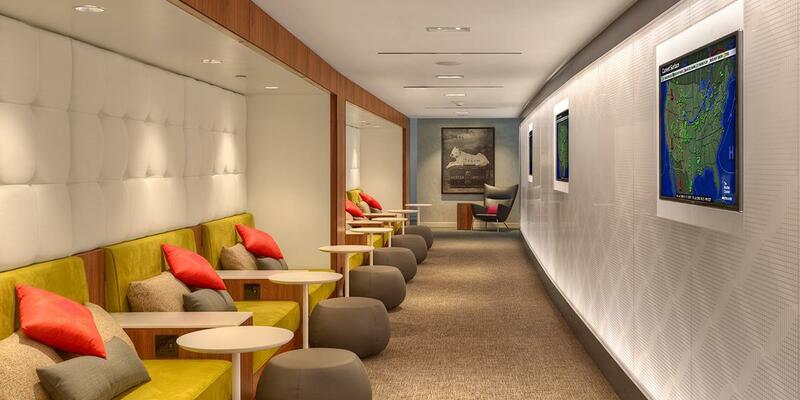 Virgin Atlantic Clubhouse. Image courtesy of virginatlantic.com. Virgin Atlantic’s customer service is at the heart of its business, so if you like your coffee served with a smile, Virgin Atlantic could be the airline for you. 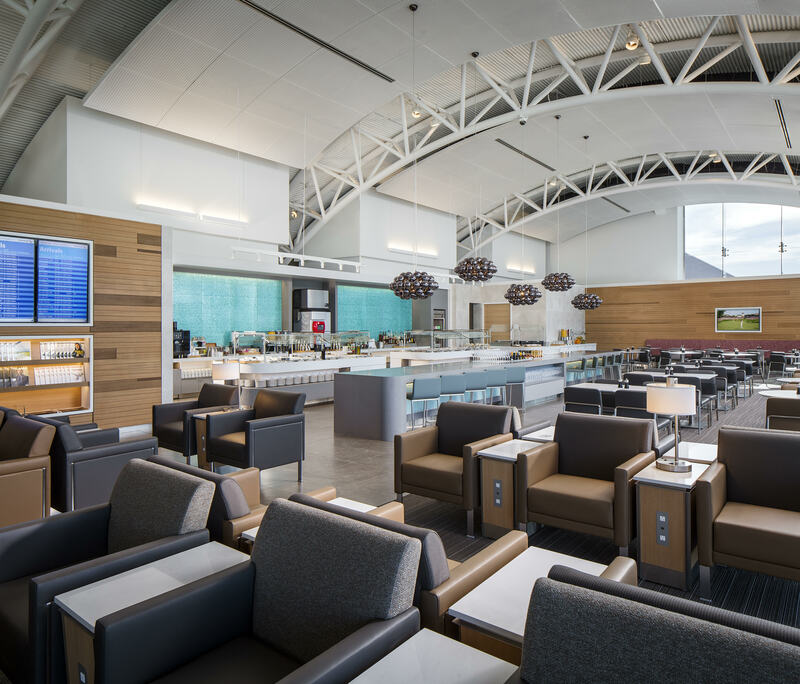 They bring a touch of glamour to air travel, especially if you’re flying in Upper Class with its cabin bar perfect for mingling with other passengers or its stylish airport clubhouses. 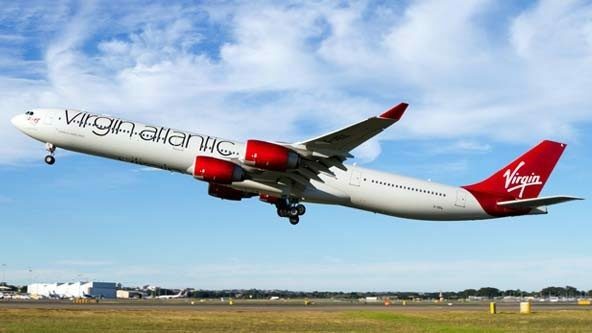 Virgin Atlantic is in the process of refurbishing 4 A330-200s with a new look for Upper Class and an enhanced Premium cabin. These planes will operate on a number of Caribbean and U.S. flights. Richard Branson is a prominent voice on climate change so it’s also great to see an airline that is as concerned about its impact on the planet as well as its profitability. Do I Need to Put My Middle Name on My Airline Ticket?